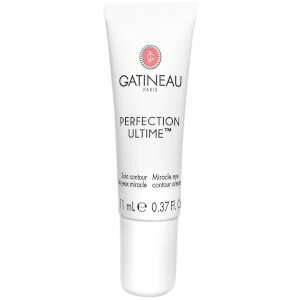 Boost and brighten your eye area with Gatineau Perfection Ultime Miracle Eye Contour Cream, a lightweight formula that works to reduce the signs of fatigue. 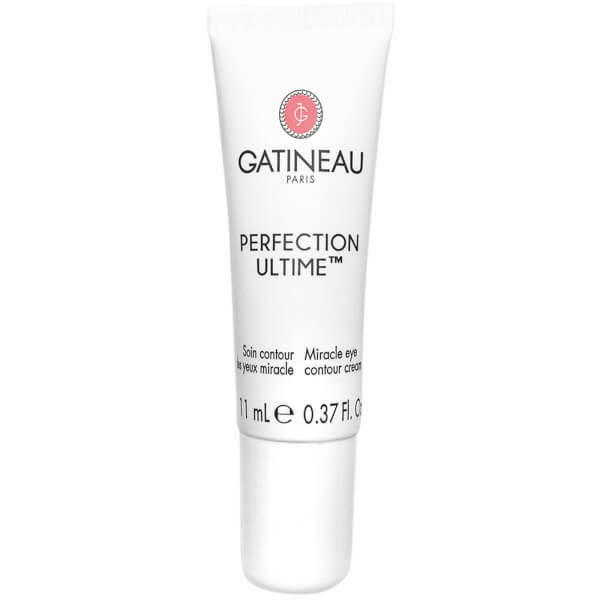 Instantly adapting to your skin tone, the eye cream expertly conceals dark circles and imperfections whilst smoothing the skin texture for younger-looking effects. Infused with deeply nourishing Aloe and Grape Seed extract, the formula helps to replenish moisture and restore radiance, creating a bright, balanced and youthful eye contour. Apply a small amount under and around the eye contour, over the eye lids and directly under the brow, pat gently to blend. Can be worn alone or under/over makeup as preferred. Aqua/Water/Eau, Cyclopentasiloxane, Dimethicone, Tribehenin, Peg-9 Polydimethylsiloxyethyl Dimethicone, Phenyl Trimethicone, Mica, Glycerin, Boron Nitride, Trimethylsiloxysilicate, Disteardimonium Hectorite, Dimethicone/Peg-10/15 Crosspolymer, Butylene Glycol, Nylon-12, Sodium Chloride, Ginkgo Biloba Leaf Extract, Panax Ginseng Root Extract, Camellia Sinensis Leaf Extract, Tocopheryl Acetate, Niacinamide, Sodium Hyaluronate, Hydrolyzed Glycosaminoglycans, Centaurea Cyanus Flower Extract, Vitis Vinifera (Grape) Seed Extract, Melanin, Aloe Barbadensis Leaf Juice, Polyester-1, Polyglyceryl-3 Diisostearate, Xanthan Gum, Triethoxycaprylylsilane, Dimethicone Crosspolymer, Dimethiconol, Silica Dimethyl Silylate, Methicone, Tetrasodium Edta, Maltodextrin, Dipropylene Glycol, Sodium Citrate, Tocopherol, Propylene Glycol, Phenoxyethanol, Methylparaben, Ethylparaben, Iron Oxides (Ci 77491, Ci 77492, Ci 77499), Titanium Dioxide (Ci 77891), 25000.